How can you make sure you'll be able to handle whatever is thrown your way for an entire looooong day of fun at the Walt Disney World theme parks? We'll give you some tips on how to endure a day from early morning to the Kiss Goodnight. Early Morning Magic Comes to Toy Story Land! Beginning September 17, Disney Early Morning Magic is being expanded to Toy Story Land at Disney&apos;s Hollywood Studios. Disney Early Morning Magic offers you exclusive, limited-time access to Toy Story Land, including Slinky Dog Dash, Alien Swirling Saucers, and Toy Story Mania!, plus character greetings with Woody, Jessie and Buzz Lightyear. Your Early Morning Magic ticket also includes a continental breakfast buffet. Early Morning Magic will take place on select Mondays and Wednesdays from 7:30 a.m. to 8:45 a.m. Special event admission is $79 per adult (ages 10 and older) and $69 per child (ages 3 to 9); tax not included. 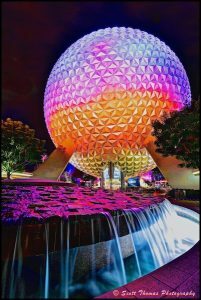 My husband and I had a short Walt Disney World vacation planned when I noticed that Disney was offering something new called Early Morning Magic. I am always one to want to experience what is new in the World so I jumped on this opportunity and made reservations for the first date it was being offered, April 26. We were told to be at the Magic Kingdom queues around 7:30am to check-in and we would then enter the park to be escorted to Fantasyland at 7:45. Disney Early Morning Magic Allows Early Entry to Magic Kingdom with Breakfast! 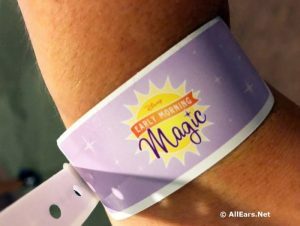 Families who want to get an early start at Magic Kingdom may be interested in a new offering called Disney Early Morning Magic. 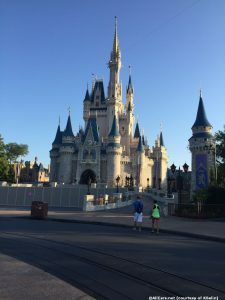 Starting April 26, the Disney Early Morning Magic package will allow a very limited number of guests to be the first to enter Magic Kingdom on Tuesday and Saturday mornings. (Disney Early Morning Magic does NOT take the place of morning Extra Magic Hours, which will be offered on different dates.) 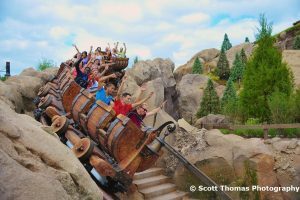 The package includes breakfast and early access to three attractions: Peter Pan&apos;s Flight, The Many Adventures of Winnie the Pooh and The Seven Dwarfs Mine Train. Cost is $69 for adults, $59 for children, plus tax.